JERUSALEM — An archaeological dig in Jerusalem has uncovered two rare seals that date back to the era of the first temple, built by the biblical King Solomon. The Israeli Antiquities Authority announced the finds on Monday, which were discovered in the Givati Brigade parking lot, a major archaeological site. “Finding seals that bear names from the time of the First Temple is hardly a commonplace occurrence, and finding a seal that belonged to a woman is an even rarer phenomenon,” project directors Doron Ben-Ami, Yana Tchekhanovets and Salome Cohen said in a statement. Dr. Haggai Misgav of The Hebrew University in Jerusalem told the Jerusalem Post that the seal is reminiscent of the biblical picture of the virtuous woman outlined in Proverbs 31. The second seal, bearing the name Sa’aryahu, is believed to be translated as meaning “Yahweh was revealed in the storm.” Researchers find the name reminiscent to Job 38, which tells of the Lord speaking to Job out the whirlwind. As previously reported, in December, archaeologists announced the discovery of the seal of the biblical King Hezekiah in a garbage dump that dated back to a time period that matched the king’s reign. “This is the first time that a seal impression of an Israelite or Judean king has ever come to light in a scientific archaeological excavation,” Eilat Mazar of The Hebrew University told reporters. In September, the Temple Mount Sifting Project announced that volunteers had found a limestone seal believed to be 3,000 years old. “The dating of the seal corresponds to the historical period of the Jebusites and the conquest of Jerusalem by King David, as well as the construction of the temple and the royal official compound by his son, King Solomon,” it said. The seal served as confirmation of the Bible’s historical descriptions of King David, King Solomon, and the temple, as some archaeologists have claimed that the temple’s construction and Jerusalem’s expansion did not occur when the Bible stated. 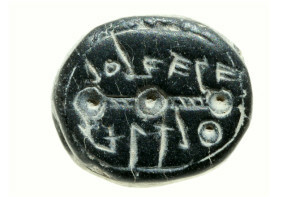 “Recent finds from other excavations, including the Ophel (south of the Temple Mount), the City of David, as well as those from the Temple Mount Sifting Project, weaken the minimalists theories and indicate that the descriptions found within the biblical text relating to expansion of Jerusalem may, in fact, be authentic,” the Sifting Project’s leaders said.